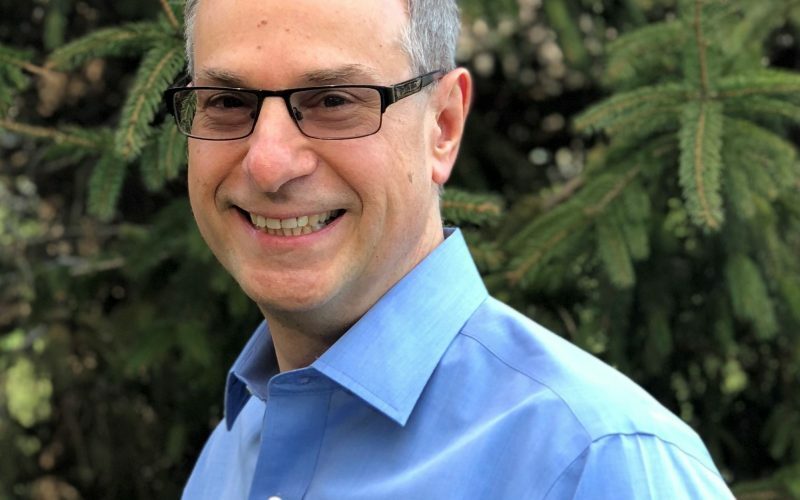 In Episode 15 of Technically Legal, we sit down with Keith Maziarek, Director of Pricing and Legal Project Management for the Chicago law firm Katten Muchin Rosenman. Keith discusses the evolution of his marketing and business development roles for two of America’s largest law firms into pricing and project management positions. Keith explains that law firms are adding pricing positions because of economic pressures and client demands. Clients are demanding changes in the way they are billed (AFAs or “alternative fee arrangements”) and also demanding that law firms become more efficient. Keith also explains how project management and pricing legal services go hand in hand because to properly forecast the cost of a legal project, a thorough understanding of how the work will be done and what resources are needed is necessary. Keith notes that fixed fees are not the only type of AFA out there. He discusses fee collars and success based legal fees. Keith explains how pricing fits into law firm marketing efforts and why sometimes it is best not to bid on work at all if it is not a good fit for the law firm. In our Legal Founder Segment we talk to Kevin Miller, the CEO of Legal Sifter, an app that uses artificial intelligence to help people negotiate contracts with speed and providing advice from company leaders and lawyers in seconds. You can check them out on Twitter at @legalsifter. Chad Main: I’m Chad Main and this is Technically Legal, the podcast about the intersection of technology and practice of law. Where each week, we’ll talk to a different mover or shaker in the legal and technology field. We’ll learn a little about them, what they’ve been up to, and hopefully get some real-world tips that will help lawyers better use technology in their legal practices. You just heard Keith Maziarek. He’s the Director of Pricing and Legal Project Management at the Chicago-based law firm Katten Muchin. In this episode, we’ll talk to Keith about the benefits of having a dedicated pricing and project management position in modern law firms and legal departments. In our legal founder segment, we talk to Kevin Miller. He is the CEO of Legal Sifter, an AI backed contract analytics team. This episode is about the pricing of legal services. You might be thinking a couple of things about that. You might be thinking: why does pricing need its own position at a law firm and what does pricing have to do with legal technology? No matter if you are a lawyer at a law firm or a client purchasing legal services, you are all too familiar with the mantra of more for less. Pick up any legal publication the last few years and you’ll read time and time again that clients expect lawyers to do more legal work for less cost, so what that means is lawyers must do their work cheaper and more efficiently. That’s where tech comes in. Legal tech permits lawyers to become more efficient by automating certain parts of legal tasks and as a result requires fewer bodies on a project. Also, as Keith will talk about, tech permits lawyers to gather data about pricing which in turn helps those on both sides of the negotiating table and also provides crucial information about the time and effort it really takes to get legal work done. As part of this more for less conundrum, clients are demanding creative pricing for lawyers. Sometimes you will hear people talk about AFA’s or Alternative Fee Arrangements. As a result, many firms are hiring people like our guest, Keith Maziarek, to fill newly created positions solely focused on pricing and process improvements. Keith didn’t start his career in legal. He started writing PR copy for his uncle’s company and then moved into the tech industry in the early 2000 where he started handling market responsibilities for a startup. Along came the dot.com crash and Keith moved his marketing skills over to the legal industry, where he got a job in the marketing department of the American Bar Association. While at the ABA, Keith figured out that the legal industry’s main trade association shared attributes of its law firm constituents. Specifically, silo departments and opportunities to create working relationships between departments. So I started doing more than what my job was supposed to be because I would raise my hand and go, “Hey, you know what? Did we ever think about connecting those two things or making a more organized and streamlined approach to the way that the department does everything?”And they’d say, “No, that sounds great. Why don’t you go do it?”So I did a lot of those things and it was very interesting and got to be a very dynamic job for me after awhile because every time I’d raise my hand, they’d let me do other things. But what I started realizing over time was that from a career trajectory standpoint I didn’t feel like non-profit was where I wanted to be, but I had, in the process of being at the ABA for that long, I learned how to work within the context of the legal world, working directly with lawyers and trying to coordinate with them and weigh and balance different priorities that they have to get the input that you needed or get the participation you needed, those kinds of things. I said, “Well, how is this a transferable skill?”And I said, “With law firms, there’s marketing jobs.”A lot of what I was doing was marketing and communications related, maybe I’ll try that. Chad: After the ABA, Keith took what he learned about connecting insular, siloed departments within an organization and used that knowledge at two business development roles, with a couple of the United States’ biggest law firms: Akerman and DLA Piper. 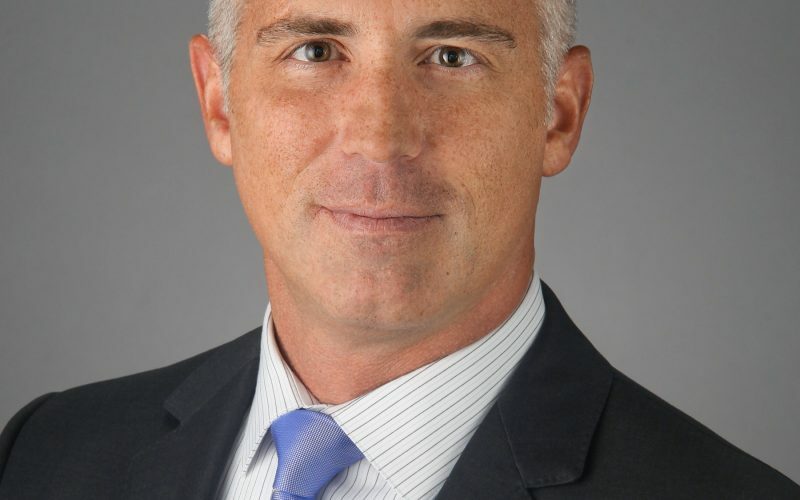 While holding a business development position at DLA, Keith also got his MBA at Northwestern and it was then that he really started utilizing his skills to help DLA cope with the changing nature of the way legal work is done in the 21st century, the impact that technology is having on the law, and the changing client demands as a result of economic forces. Ultimately, Keith’s role evolved into pricing and how to help law firms not only price their services to cope with client demands, but also how to manage legal projects and deliver value to clients. Keith: When you work in a big firm like that, BD [business development], a lot of it is being a broker between people on opposite sides of the firm that don’t know each other exists, but they can offer each other something for their work. Keith: Yeah, basically. Yeah. Saying, “Okay.”And just kind of connecting those dots and being in a position where you’re kind of in a broker or agent type of position within the organization because you see across multiple silos or areas that other people don’t. That’s sort of a benefit of being in those positions and it sort of lends itself to being able to make those connections. Chad: So do you ultimately get into a pricing position at DLA? Keith: Yeah. So here’s what happened. When I was an undergrad and when I was in high school, I was always in AP Calculus and all those advanced quant classes and I said I want to get back into the analytical side of things and the quant side of things as opposed to just being more of the qualitative side of things that tend to focus on more of what we did in BD and marketing back then. My three majors at Kellogg were Manager of Economics, Management and Strategy, and Analytical Consulting, which is basically big data analytics, predictive analytics, those kind of things. That was very calculated on my part, no pun intended. I wanted to actually focus on those things more and have those as the compliment to the other side of things where I sort of knew a lot about different businesses and different industries and what they were looking for from the legal services standpoint. That was a very deliberate choice that I made as far as what I wanted to focus on there. My thought when I went into Kellogg was,”I’m staying in legal.”I kind of liked the idea of going into management consulting. Keith: Yeah, at DLA, yeah. Bill Rudnick. Worked with him really closely. He’s a JD and a MBA. He’s an incredibly smart guy, incredibly gracious guy. He’s a friend and a mentor to me still. We still catch up from time to time. So anyway, long story short, he goes, “Do you want to be the co-founder with me internally of a task force that gets our arms around all these things and starts setting up a plan for the firm?”More or less. I said, “Yeah, I’d love to do it.”There was all these thing I want that would help me leverage what a lot of what of my studies were and also the environmental sort of awareness or information or knowledge that I already had from, not only the firm but also the industry. So yeah, that’s great. Little by little from 2009 on I started getting more into the pricing thing and it was like, okay well, what are the different things clients are asking for? Are we doing those well? How are we measuring performance now? That to me … I was lucky because I started when a lot of other people started doing this in general and as I got more and more invested in it over time, I started trying to spend more time on that and less time on the BD stuff. Because I saw, number one, I was interested in it. It was intriguing to me. It was very rewarding to me. But then also at the same time I felt like there was a new profession developing out of this. So there’s gonna be a specialty. There might be an opportunity for me there. Chad: As noted, Keith’s position at Katten is Director of Pricing and Legal Project Management. In this role, Keith has both internal responsibilities to the law firm itself and also external responsibilities to the firm’s clients. Keith: There’s internally facing work that I do and then there’s working with the partners, working with our internal departments; marketing, BD, finance, IT, all those things right? Enabling the functions basically, of pricing and LPM [legal project management], right? So you need data. You need different ways of getting reporting generated. You need different types of applications so you can generate certain types of analytics, and those kinds of things. So those are all very internally focused. Like, how does a company do any product development? Right? That’s an internally facing role, right? But marketing then puts it on the outside right? So if you think about how those functions kind of, are symbiotic. Same kind of thing. So with what I do, you have to internally enable the analysis that you need and the types of reporting, transparency, all the infrastructure type, elements of the functions need to be dealt with, managed, developed, those kind of things. And then the externally focused I was, “Okay, how does that present itself to the client? Either directly or indirectly?”It could be me saying, “Hey we generated these reports that show you a good birds-eye view. And then a little bit more in the weeds view of how our work is being done with you,”and where we see that there’s opportunities to look at different ways to price things, or efficiencies. So those kind of things are a very client facing thing to … Either that or just how I enable the partners to better interact with some of their business side counterparts, on the client side. To give them the tools or the information they need to be effective in those types of conversations as well. So it’s kind of both. So pricing and LPM are the overarching disciplines, I would say. But then the way that those get done, or the way that those sort of manifest, have both internal and external versions, I would say. Chad: We’re gonna step away from my chat with Keith for just a second. Now it’s time for our Legal Founders Segment. In today’s segment we talk to Kevin Miller. He’s the CEO of LegalSifter. LegalSifter is an AI based, contracts analytics tool. Kevin, thanks for being here today. Tell us a little bit about LegalSifter. Kevin: Thank you Chad. We really appreciate the interest. LegalSifter has built a product to solve an age-old problem. Contracts are the most important, most prolifically used document in global commerce. And they’re just a universal pain. They’re hard to read. They’re hard to negotiate. We’ve built a product that reads that contract and gives in-context help or advice, in a minute or two, to anyone who needs it; using artificial intelligence. And we think it’s a thing. Chad: Tell me what was the inspiration to develop the app? Kevin: Well the company was originally founded out of Carnegie Mellon University here in Pittsburgh, Pennsylvania. And if you live in Pittsburgh you know that Carnegie Mellon and Pittsburgh, is just a hotbed of AI activity. And they did that way back in 2014. They got 5,000 people to use the product in a week. And then they put it on the shelf. They weren’t ready. The product was a beta. The leadership and the funding wasn’t quite there, or where it needed to be. They weren’t quite sure where they wanted to go. I heard about the product about a year later. After it had been on the shelf for about a year. And I thought, “Oh my gosh, you’ve built a product that reads contracts and gives advice. That’s a big deal.”And so I jumped in. We built a team out. And we had to get the use case quite right. We really wanted to partner with the legal community. It took us really, two years from that point to launch the product that’s out on the market today. And we’re proud of it. We think we built something that everybody is going to and wants. Chad: Give us the elevator pitch about two things. What exactly LegalSifter does and it’s features. It’s unique features. Kevin: Sure. So we’ll start with the primary users, and that’s for business. We’ll talk about how businesses use it and law firms use it. So if I’m a business and I negotiate contracts all day long to run my business on the buy or the sell side. I typically have some combination of three issues. Either I have way too many people involved in the contract negotiation process. And it takes me way too long because, you know, “Chad you’re my boss and you’re on vacation. Then the lawyers too busy and the IT person forgot. It slows things down.”And that’s a challenge for typically middle to larger businesses, some small. The second challenge people face, and the more common one, is that they have only one person reviewing a contract. Whether it’s a lawyer or non-lawyer. By themselves, reviewing a one to 100 page contract, and trying to represent that organization as best they can. And then the third issue is really more on the solution that they have at their disposal. If you have inside counsel or even if you go to outside counsel, if you run your contracts through attorneys, often times it’s too slow and too expensive. Attorneys themselves don’t have technology that helps them scale or do a lot more in the same hour that they otherwise could. And so they look very expensive and very slow for the average transaction. So you have some combination of too many people involved, one person reviewing a contract or it’s too expensive or too slow to go outside counsel. Well, the product that we’ve built empowers individuals to either negotiate contracts by themselves, take on more of the work. Thereby eliminating steps in that situation where you have too many people involved. Or if you’re by yourself, whether you’re a lawyer or a professional, you tend to make fewer mistakes and you tend to read product contracts faster with the product. The adage is a person plus an algorithm is stronger than either by itself. If I have an individual reading a contract by themselves, and then I have that individual read that contract with LegalSifter, they’re gonna be faster, cheaper, and better. Meaning they’ll make fewer mistakes, get to a better outcome if they use the product. And then finally for lawyers, and this applies to law firms. We give them the opportunity to become more efficient, to deliver things faster, cheaper, better. Which their clients are going to want. But we also, for law firms, allow them to put their brains and their best practices inside the product. Co-brand it and resell it to their clients. And open up new revenue streams on top of their typical full service, as spoke, work. Chad: That’s really cool and usually the question I’ll ask the Legal Founders I talk to for this segment is, who’s the target customer? And you’ve already talked about, it’s law firms, it’s businesses, and it’s in-house counsel. But when I was taking a look at your website today, before we hopped on this call, I noticed something pretty cool and pretty interesting. You also target accountants, sales professionals and others outside the law. Tell us a little bit about that. Kevin: Most contracts on this planet are reviewed and negotiated by professionals and non-lawyers; Not attorneys. Because of the reason that I said before, and so what we’re providing is a way for attorneys to get their brain in the hands of those people at a cost and at a speed that those people can afford. And we’re also providing a tool that those people can use by themselves, to empower them with a little bit of extra knowledge. To make sure that when they are by themselves, which is most days, that they’ve got that kind of in-context assistance that they need, to get to a better outcome. Chad: Well Kevin, cool. Really interesting. Great product. So tell us where can people find out more about LegalSifter if they want to? Kevin: LegalSifter.com is the easiest thing to do. Today, you can come on and learn about our product. In about four weeks, if the trains run on time … So this podcast is on October 11th, sometime before November 11th, you’ll be able to come to our website and try and buy the product. So that’s something we’ve evolved to over the first 14 to 15 months of the product … The products about 14, 15 months old. And we’re now ready to allow people to come to our website. To try the product and buy it, without even talking to us; come November. So really, two ways. You can go and learn about it today on the site and then give us a call or send us a note and we’ll call you and let you try the product. In about a month, you’ll be able to do it without even talking to us. Chad: Let’s get back to our talk with Keith Maziarek. The director of pricing and legal project management with the law firm Katten Muchin. What do pricing and legal project management have to do with each other? A lot. As Keith explains, it is very hard to accurately figure out what you should charge a client if you don’t plan ahead and figure out all the steps that you need to take to get a project done, that’s where project management comes in. Keith: Pricing and LPM go together. They’re sort of inextricably linked, right? So it’s sort of a process. So even if you don’t set a price up-front that’s based on certain assumptions, the way that the work is staffed is gonna impact that price. And later on that often comes up in conversations with the client. Which comes back around to pricing the next time, right? Because these are ongoing relationships. And on the flip side, which is the way it more often will present itself, you price the work. But you price the work based on certain assumptions and based on the analysis that you’ve done of past matters and the way that you look at staffing questions and we’re you gonna use technologies to try and help enable either collaboration, or coordination, those kind of things? All those things impact the pricing that you use to build a budget or workflow plan that you use in your legal project management process so they’re both sort of … It’s like a cycle. That they both go together, right? In fact, the funny thing is when I first started doing both of these things at DLA, there was a lot of price competition. I would go to them and say, “Okay look, we need to use the plan and assumptions we put together now.”To track against what your actuals are. Because if you’re not following the plan, number one, we’re not going to be profitable. Number two, we’re gonna miss opportunities to communicate with the client and say, “Look, the scope has changed. Or there are other issues that have come into play that are gonna impact the price. “So we need to be very well coordinated on that. And nine times out of ten they’d say, “Yeah, yeah, yeah. I get it. I’ll come back to you in like a month once I get going. We’ll set up all that LPM stuff you’re talking about.”And you never hear from them again. So that was a good, effective, but sometimes painful way of demonstrating what the value is of actually measuring budget to actuals. And the value of investing the time up-front to plan out how work is done. And then use that as sort of a blueprint to do it, and that helps you identify when things may be deviating. And with the reports that we can provide, we can help identify those deviations as soon as possible so you can address them with the client. Or the engagement team or whatever it might be. Chad: So what you’re saying is, it’s a fool’s errand to come up with price without actually figuring out how the works gonna be done in the first place? Keith: Yeah. The only time I wouldn’t use that as a blanket statement, there is some categories of work that are very market driven. But those are also highly patterned, sort of high volume ones. So it just is what it is. If you can’t do it for those prices than you either shouldn’t be doing it or you’re doing it wrong. Generally speaking though, I would say yeah. You can’t just throw a number out there and say, “Ah I bet it’ll be this.”You also can’t throw out a half-baked number because a lot of times you have to understand what the nature of the data that you’re using as your reference point is; for modeling the new one. So if you take something in a vacuum and you say, “Okay, I have a new complex M&A transaction that’s gonna be a cross border deal.”If you look at the last one, the last one might suggest a certain number. But it also may not be very highly correlated with what the actual attributes of this new matter are. So if you use that in a vacuum, which people would do from time to time, and they wouldn’t consider where they were similar and where they were different. And what the implications of where they were different would be, that gives you a very inaccurate estimate of what the numbers gonna be. All you’re asking for is trouble then. A fool’s errand? If you have somebody like me or people in your finance department or whatever, that can go back and look at your data and break apart the numbers and give you some of these insights and go, “You know I see these levers. Tell me about why this happened. Or is this accurate here? Or is this relevant here?”You can put together that puzzle of what this new matter looks like, and know where you’ve got similarities and parallels. It’s well worth the time. Because just picking a number out of thin air or taking an average of a bunch of different, old matters is typically not as … You need more specificity and more accuracy than that. It is definitely worth that extra level of diligence to go on the analysis side and understand better, at a very granular level, what is required. Or what you could or could not do. Or should or should not do, in order to come up with the best price possible. Chad: We’ve heard Keith talk a few times about AFA’s. Those are Alternative Fee Arrangements. AFA’s are an alternative to the billable hour. Which is how law firms have historically built clients. When clients approach lawyers about alternative fee arrangements, most probably think the client wants a fixed fee. Say I handle a routine contract negotiation for a set price. However AFA’s are more than just fixed fee arrangements. Keith: So I break it down into three categories now. One of them I don’t really consider AFA’s. They’re just some variation on what the billable hour model is. If you define alternative fee arrangements as not hourly billing, then that last category is sort of in it’s own. I’ll get to that one. That’s my last one. The first category is the fixed fees. And there’s obviously a variety of different forms of fixed fee. You can do for a whole matter, you can do for a task, you can do by phase. You can do by milestone, you can do annually, those kind of things. So those are sort of, all the varieties of fixed fees. The next category I use is more of the risk-sharing. The more ones with the contingency of performance element. Right? So it’s sharing the risk and sharing the reward with the client on a … Usually on a higher level. I don’t wanna say higher level but from a different perspective than a typical fixed fee would be. Example being like, a partial contingency. Sometimes you’ll use a flat fee and say, “Okay. Based on outcome.”There’s some other supplemental piece of compensation the firm gets. And if it’s a good outcome, based on the magnitude of the good, I’ll say, right? We get a bigger and better reward or portion of that. And if you hurt, than we’re not going to disproportionately profit from, what would be considered a failure for the client. We want to be in this with you. So that’s the second category of the contingency related ones. The third category are the ones that I say I don’t consider them true AFA’s. But they have a place. But at their core, they’re still measured as a function of hours times rate. That’s things like the fee collar. Which definitely has a place. Those are very interesting. I used to be in love with the fee collar. Keith: It’s basically … You go through a very similar exercise of setting a fixed fee but rather than just saying, “Okay. This fixed fee is either set in stone …”What you do is you say, “If it’s within 10% above or below, based on some agreed hourly rates and the hours that we bill.”We’ll charge the client whatever that number is that we agreed on. If it falls outside of that it’s usually a scoping issue. The scope was less than we thought it was gonna be or more. In which case we have to make some other accommodation and there’s a whole spectrum of other accommodations that can be made. Now I don’t have a problem with that but it still does come down to you’re going, “Okay. What is an hourly rate assumption that we use for each timekeeper?”Which has gotta be based on some discounted number, typically. Or even if it’s a full freight number. To come up with what that range is gonna be. And so that is not exactly what I would consider to be like … It’s not a fixed fee anymore because it’s somewhat variable based on what that is. Whereas in a true fixed fee, you wouldn’t measure things as a function of time and rates. It would just be, “Okay based on our experience in the past, what do we see that this is gonna be?”And regardless of slight changes, what does that mean? So the other ones that I don’t consider to be true AFA’s, that was the first one. Just to round out the explanation there. Volume discounts, things like that. Like blunted rates, a blunted rate really isn’t an AFA. It’s still a rate times hours. And if you do it right, it’s a function of what you assume your staffing makes to be in those kind of things. So they are different tools and they’re different ways of packaging your pricing. And the work, as far as how you go to market with a client. But in terms of what the more accepted or traditional definition of alternative fee arrangements is, they’re not … They still are based on hourly rates times hours. So that’s why I don’t consider those to be true AFA’s. Chad: Keith wrote a great article for the ABA Journal about pricing legal services. I’ll put a link to that article on the episode page at tlpodcast.com. Be sure to check it out. A lot of good information in that article. In the article Keith talks about the four P’s of marketing. Promotion. Placement. Pricing, and Product. Before reading that article, I hadn’t really thought of prices being that much of a component of marketing. Keith: The four P’s I think are more traditionally thought of in like the CPG [consumer packaged goods] context, or that kind of thing, like products. As opposed to services or high-end differentiated services like legal is. But it’s still a model that applies. Price is one of the four P’s because the other three P’s can impact what your price is. Right? So product … In our case it would be service, not product, right? But is the work that you’re pricing more commoditized or routine and there’s high price competition? A lot of different competitors and substitutes that you could use to do it? Or is it very bespoke type work where the people that you have at your firm, are very specialized in these particular skill sets. Or these areas where they have a very unique value, very differentiated value. And that helps you protect your pricing power, right? So that’s the product side of things. Placement is another thing. Where do you fall, I’m just thinking in the legal industry; from that perspective. Where do you fall within the continuum of firms? Are you a global firm? Are you more of a local firm? Are you mid-tier? Kind of one of those things? And what are the right types of clients or work that you’re going to pursue based on what your placement is within the industry. Right? So promotion is really, in a lot of ways … I think of the way that we articulate the aspects of what our placement and what our product, or our service are. Right? So again, if you’ve got … Think about the old adage, if a tree falls in the forest and nobody hears it, does it make a sound? If you’ve got the most specialized person in the world but we’re not … Either they or we as a firm, are not good at telling the story and demonstrating and articulating to clients why this person is the greatest at that they do. And what particular advantages or benefits that promises to them as clients so that they work with us. If we’re not good at promoting that in a way that’s gonna be helpful, then either we’re not gonna get the work or we’re not gonna be able to again, impact the pricing power that we have as we price the work. Right? That to me is how the model overlays in the legal industry. In terms of how those different disciplines interact with each other. Chad: I asked Keith what he would say to a law firm legal department that is kicking around the idea of hiring a pricing specialist. Keith: The types of questions and the demands, the nature of the demands that clients have had is they’ve developed more sophisticated ways of analyzing what their spend is, where their spend should be, who they’re using and what’s generating that spend. Those kind of things. They’ve gotten increasingly sophisticated in the questions they ask and the demands they make of the law firms that they work with. And those things are becoming pre-qualifying, prerequisites for whether or not they’re gonna work with the firm. I’m not saying anything that I haven’t heard from dozens of partners over the years. They didn’t go to law school to do math. A lot of these things that relate to, what are the metrics we’re looking at? Or how do you interpret some of the figures you have over large portfolios of work, and those kinds of things? That’s not something within their sweet-spot or what their comfort zone is. So to have somebody that is more versed in those things, and in those areas and can bring that to the table; it’s a big advantage when working with clients that are asking for some of these things. Or their outside, again, of the traditional comfort zone or scope of what a typical law firm partner would be doing. Chad: So let’s say that the firm’s not quite there yet. Are there things law firms can be doing regarding pricing, without a dedicated position like you hold? And if so, what should they be doing? Keith: If you’re not gonna create a whole new function for it. Leverage the ones that you have. The ones I’m thinking of most are typically, in most firms like your IT department, and your finance department. Or accounting or billing, it could be … Depends on how you’re structured. Where those fall. But data is the biggest tool that we have in the arsenal to go, “Okay, when clients are asking me about these things and I haven’t really looked at these types of challenges in a different way other than billable hours in the past … “Looking at leveraging some of those people in IT to go, “Okay, what tools do we have that can help generate some of these reports that maybe our client’s asking for.”And that can be a learning process internally as well. To go, “Okay the client asks for this, let’s pull it together. Let’s interpret that on our own.”And say, “Oh you know what, I understand what they’re trying to get out of this, or I don’t.”In which case that can initiate a conversation with their client as well. But back to the original questions, leveraging what you already have to understand better how your work is being done and how that coincides or doesn’t coincide with what the client’s priorities are. So you’ve already got a lot of that information resident within your firm. It’s a matter of tapping into the resources that can get it for you. Again, that’s usually the people that deal with the numbers and people that deal with the tools that hold the numbers, and can spit them out for you. Profitability has been the new mantra within the community of people who do what I do for probably at least seven, eight, or nine years now. Understanding better how you make profit as opposed to just how you make realization. Those will help you make different decisions as well. So you can work backwards from PPP [profits per partner]. And everybody’s measured those internally so working with the CFO to understand, “Okay. On a more individual practice level, how are we generating profit?”And how does that work from timekeeper to timekeeper? From client to client? So getting a better awareness of what those parameters are, just as a general understanding. Again, these are things that should exist somewhere within most firms. In some level of sophistication or another. So being able to just get started on, what are those key metrics that we can use to measure how we’re doing, what we’re doing, and what means success to us and what doesn’t? Leveraging those in a way on a day to day or a month by month basis for my business, those are I’d say, some the easiest first ways to do it. I think once you start down that path, you usually get one or two adopters that will start to get really into it. You always get several people that are invested in it. They get curious and they go, “Oh you know what I was thinking about? Let’s look at this. Let’s look at that.”And they’ll find some success. And those are people that’ll bring those stories to the forefront internally. And that’ll help build momentum or awareness and hopefully get to the point where you do wanna build a function like that. That’s how it works with people like us that do this as our full time job. It’s really trying to find and make those compelling internal cases. And then scale them as much as you can. That will happen on it’s own organically as well. Chad: As I left Keith, he offered a great piece of parting advice. He pointed out that part of his job is to help lawyers figure out that sometimes the best pricing is none at all. That is not even bidding on work if it’s not a good fit for the firm. Keith: Doing every piece of work that’s put in front of you, regardless of price isn’t always worth it. It shouldn’t be worth it. There should be more of a strategy behind what you’re doing. I know this is easier said than done. A lot of times it’s harder to turn away work when it’s kind of on your doorstep. But it’s one of the things that, again the increased focus on profitability … Have a solid and agreed upon profitability model. You’ll know when something’s not profitable anymore. And it’s okay to do some work that’s not profitable as long as you’re doing other work that is profitable. Keith: I always say that … I don’t know if I made up this tongue twister or not but a loss-leader is only a leader if it leads to something that’s not a loss. That’s what I tell them all the time. You can do a loss-leader and that’s good. And that’s got client value from a financial standpoint as well as a relationship standpoint. If you’re not balancing that out with something that’s more specialized, and more profitable, then you need to kind of reassess why you’re doing those loss-leader type things. So that’s one reason why it’s not worth bidding on everything all the time. The other thing is, clients have different tactics of either collecting information or using information that’s collected as leverage. In their negotiations either with you or with other people. Just be mindful about, that the rate information you send or the bid you give out or the amount of discount you’re willing to give them. Doesn’t go away like a puff of smoke and it never … It doesn’t disappear. That’s captured in time forever. And they’re gonna use that somewhere right? You’re setting an expectation. Chad: And I think your point there is … And it has nothing to do with whether you should or should not do the work. Make sure your bidding on a project that you actually have a chance because maybe the bid is requested to just get competitive intelligence. The other thing is sometimes they’ll … If you get an irrational bidder, which I’ve been part of those things too. Where you try to give the best advice possible but there’s a belief that if you just give the biggest discount, that it’s all gonna be worth it in the end. Clients will anchor to that and they’ll say … Either they’ll come back to you in the future and say, “We expect that same level of discount because you offered that before.”Whereas that might not be a sustainable thing or that might not fit the new piece of work that you’re bidding on as well as it did the old one. Or they’re gonna go back to their other firms and say, “Oh well, we’ve got competitors of yours that are bidding 25% less or 30% less.”And that’s information that can be used … It can be leveraged in a way that can be advantageous in a very one dimensional way. So just being mindful of those kinds of things. And that’s their job. They’re always supposed to say, “Can you do it cheaper? What’s the cheapest you can do it for?”Totally understand and respect that. It’s our duty on the law firm’s side to play the … Be the same steward to our firm, and to our book of business and say, “Okay, if you tell me other ‘people’ will do it for 25% less … Man, I would love to have this work and I wanna meet you in the middle here but I can’t do it for that. How about 10% less than whatever it is?” Obviously after some careful analysis of what you could afford to do it for. But don’t just assume that a counteroffer is a walk away offer from the client and you can’t engage in a … I’d say a fair and reasonable negotiation process to come to a point of agreement that works for both sides. You always want win/win’s. Chad: Cool. Appreciate your time. Keith: No, hey thank you. Chad: A lot of good info. Lot of good info there. So if people wanna contact you, where do they find you? Keith: You can find me … I’m all over LinkedIn, or email is: first name dot last name. So keith.maziarek@kattenlaw.com. K-A-T-T-E-N-L-A-W dot com. I’m out there. Chad: So that’s all we got for this episode. We thank you for tuning in. If you wanna subscribe, you can find us at most major podcast platforms like iTunes, Stitcher, Google Play. If you like us enough, please give us a five star rating. If you wanna get a hold of me, you can find me at cmain@recipient.co. That’s C-M-A-I-N-@ recipient dot C-O. Thanks again for listening. Until next time. This has been Technically Legal.